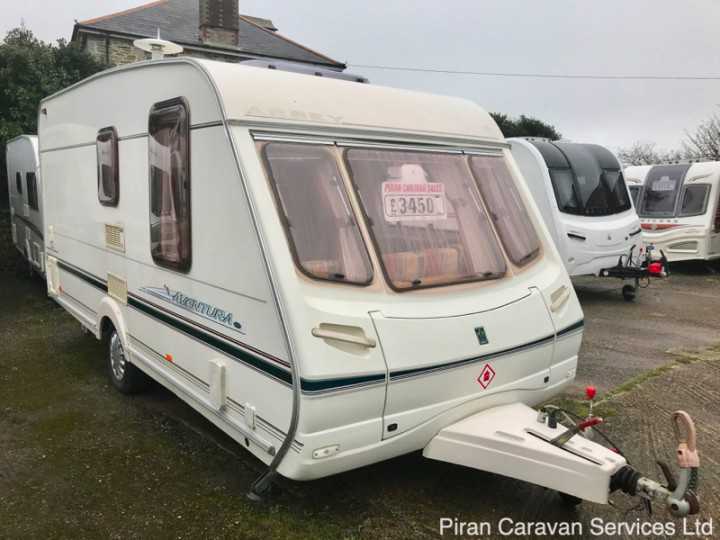 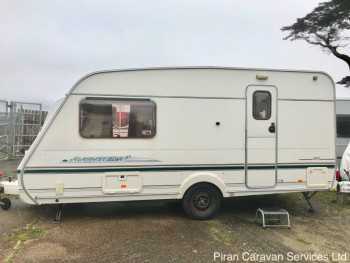 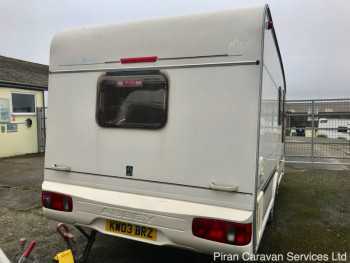 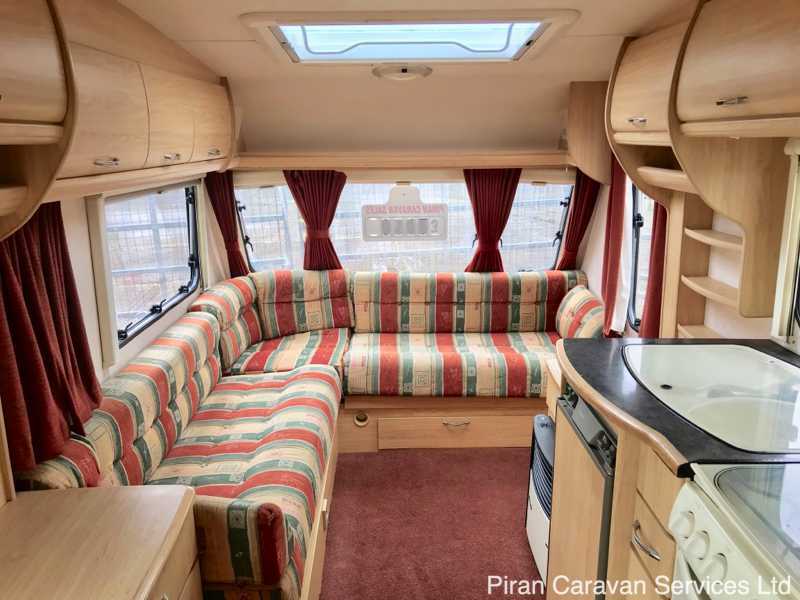 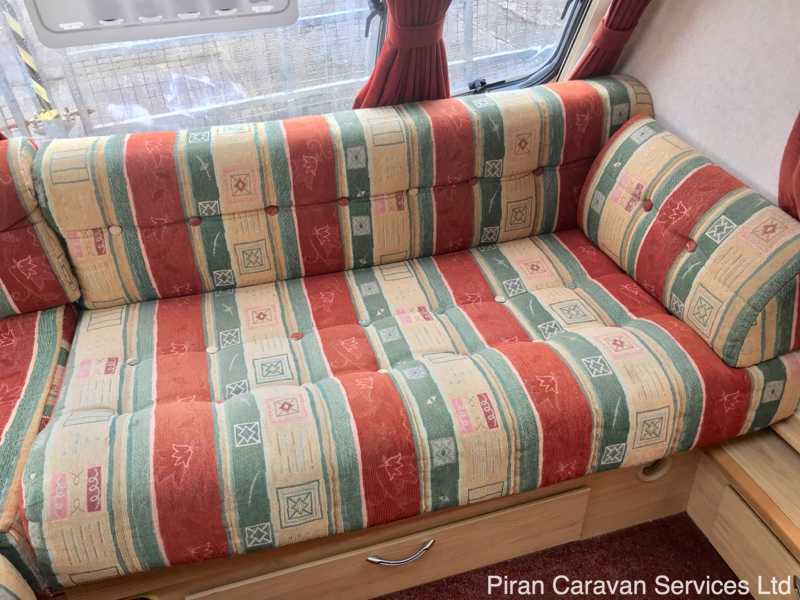 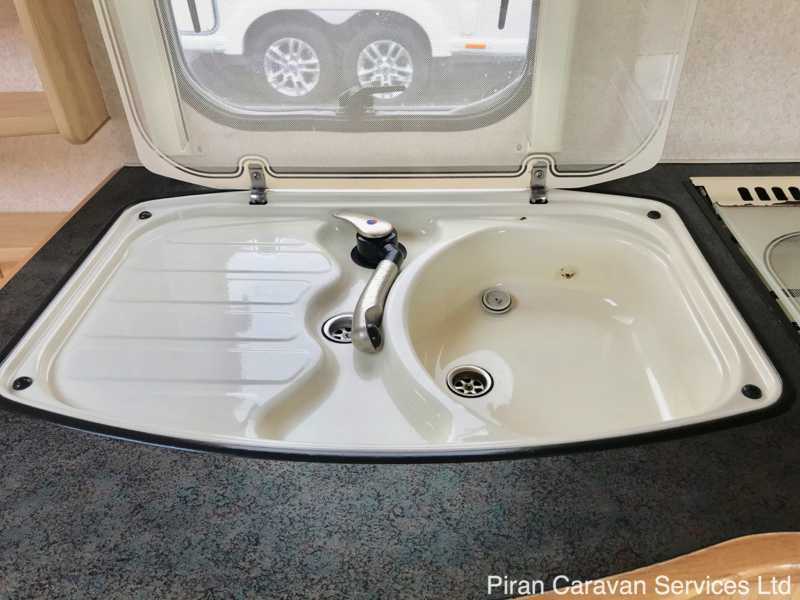 If you are looking for a smart, tidy and well looked after 2 berth caravan to start touring with, this caravan is perfect. 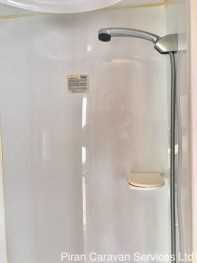 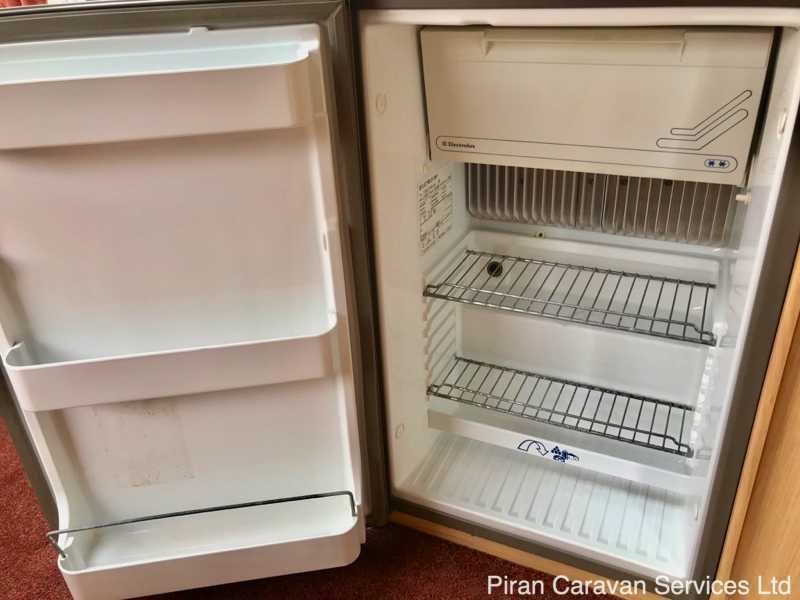 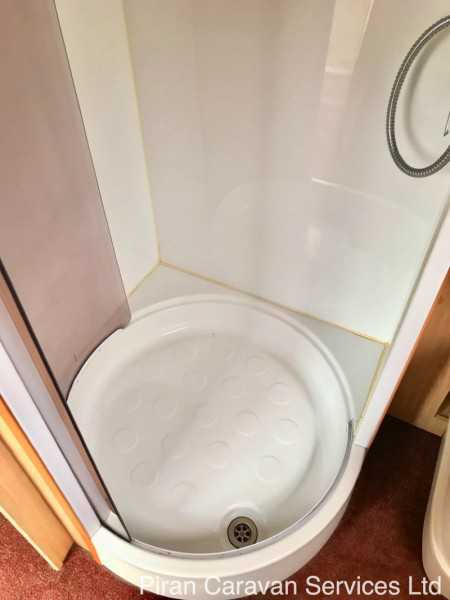 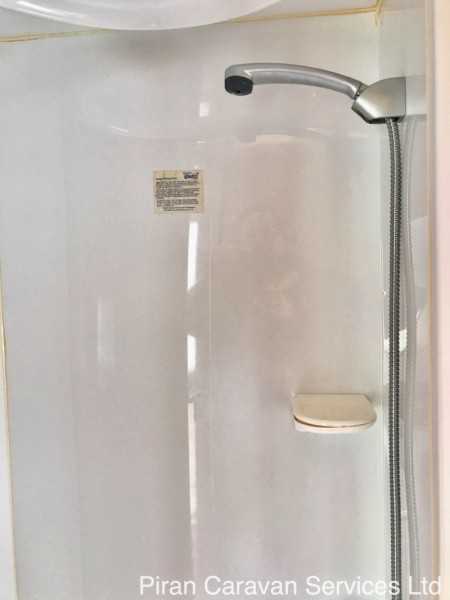 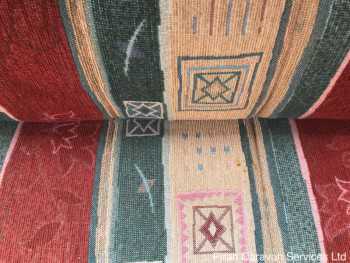 It's a great, well-looked after older little 2 berth caravan, which has a spacious L-shaped lounge, kitchen area in the centre and a large washroom/dressing room with walk-in shower in the rear. 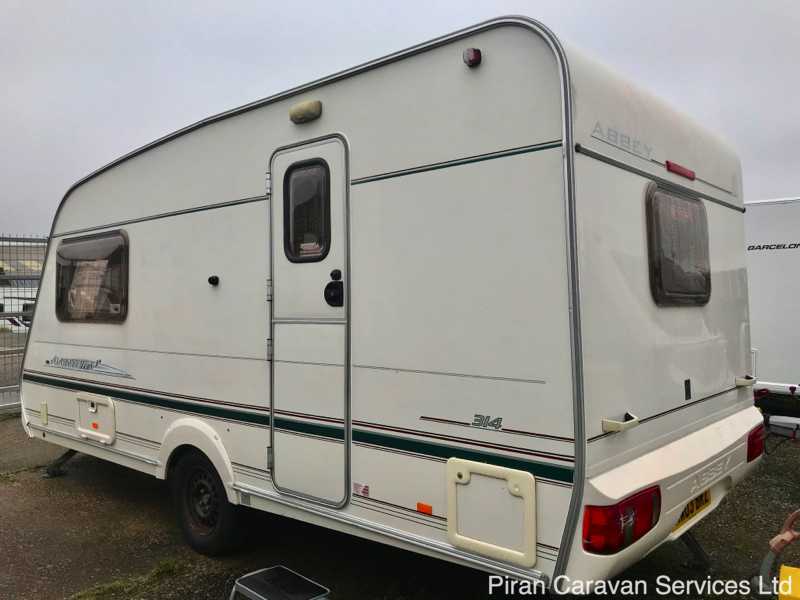 This Abbey Aventura, built in 2001, has been well maintained and is an extremely good example of this high spec caravan. The caravan comes with the original Abbey manuals and will be serviced and damp-checked prior to sale. It also comes with an awning and a number of accessories. Externally, there are front and rear GRP panels and tough impact-resistant one-piece GRP sidewalls, built on an AL-KO galvanised chassis, with an Al-Ko AKS 2004 stabilising hitch, as well as alloy wheels. 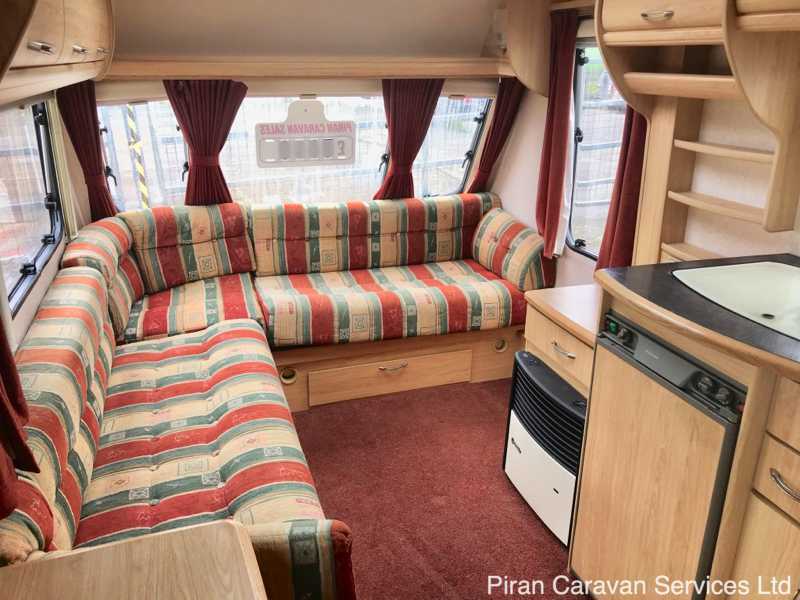 The front of the Abbey features 3 double-glazed windows, with flyscreens and blinds, and a large L-shaped seating area, upholstered in 'Belgian Chenille' fabric, which converts into a 6'8" x 4'6" bed. 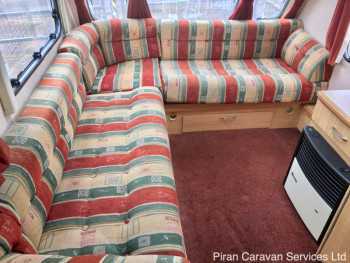 This seating provides storage underneath, and has ample room for comfortable meals around the separate freestanding table, which is kept in its own storage locker. 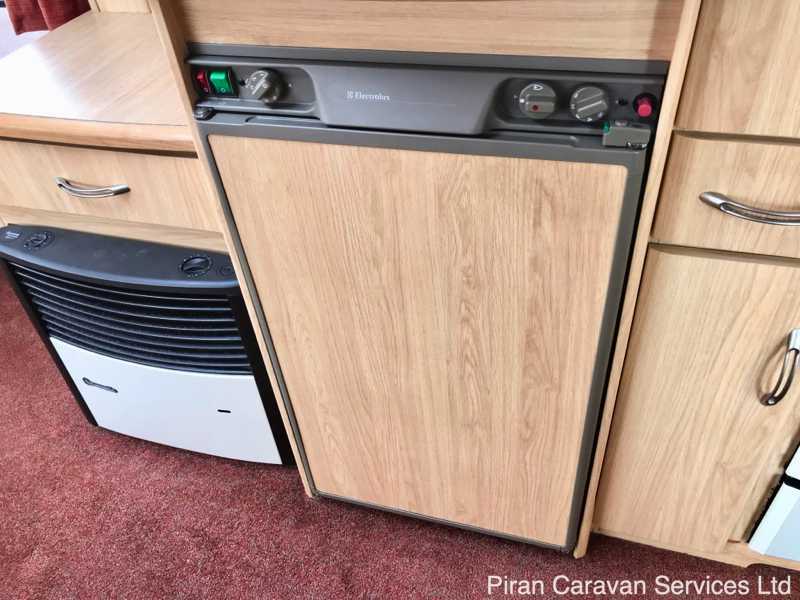 Overhead 'aircraft-style' lockers provide additional storage and the furniture is finished in an attractive 'Seville Oak' wood effect. 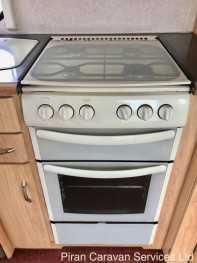 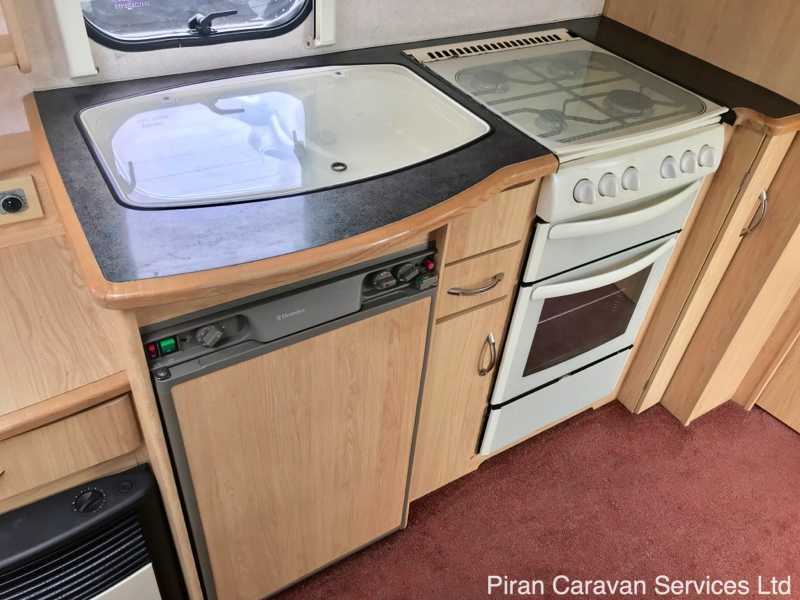 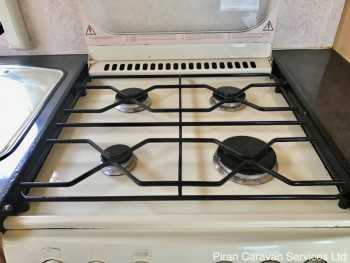 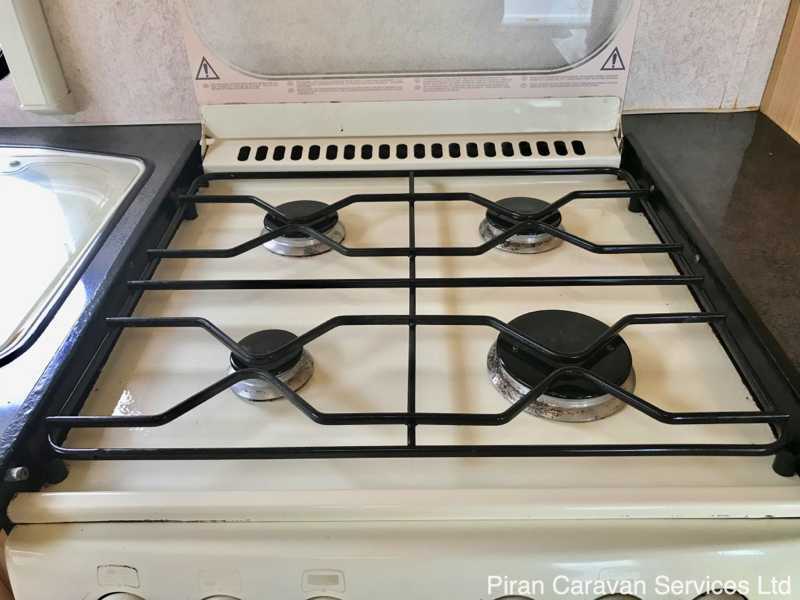 Moving back through the caravan, a well-equipped kitchen features a white enamel sink and drainer, with domestic style slot in Stoves oven and grill with a 4 burner enamel hob and a lift up glass lid. There is also an Electrolux 77 litre fridge with full width freezer. 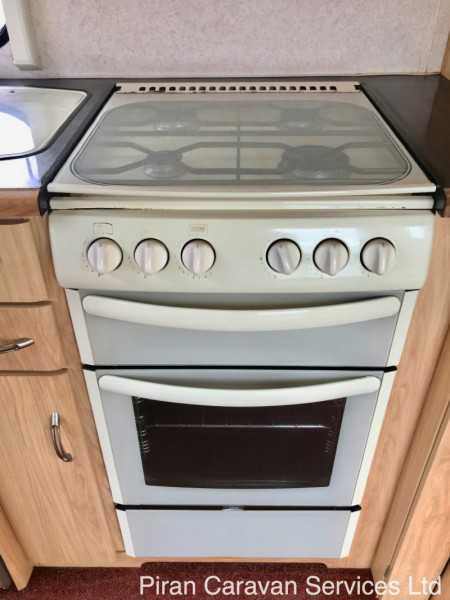 Opposite the kitchen is more storage. 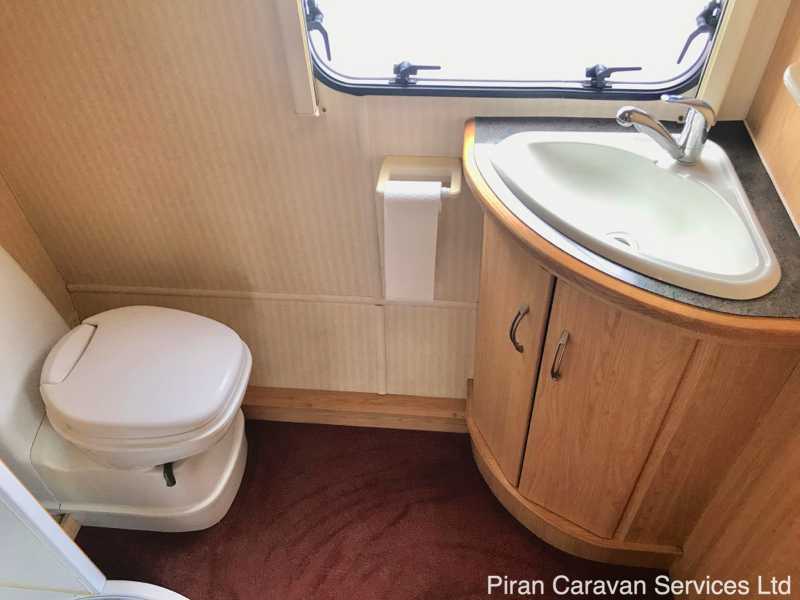 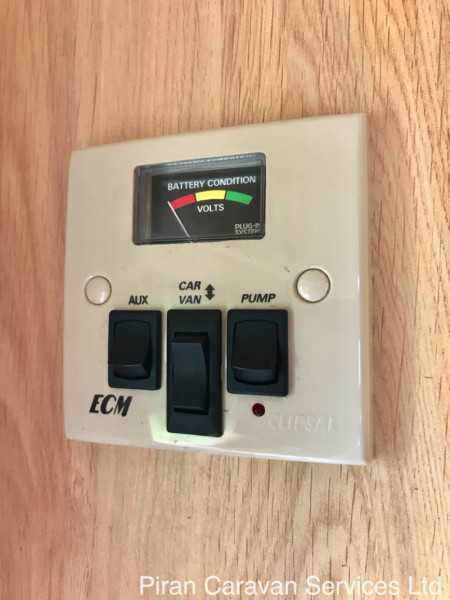 In the rear of the caravan, with access through a domestic-style door, is the large washroom featuring walk-in shower cubicle, swivelling Thetford cassette toilet with manual flush, a wash-basin in a handy corner vanity unit and a spacious wardrobe with hanging space for clothes. 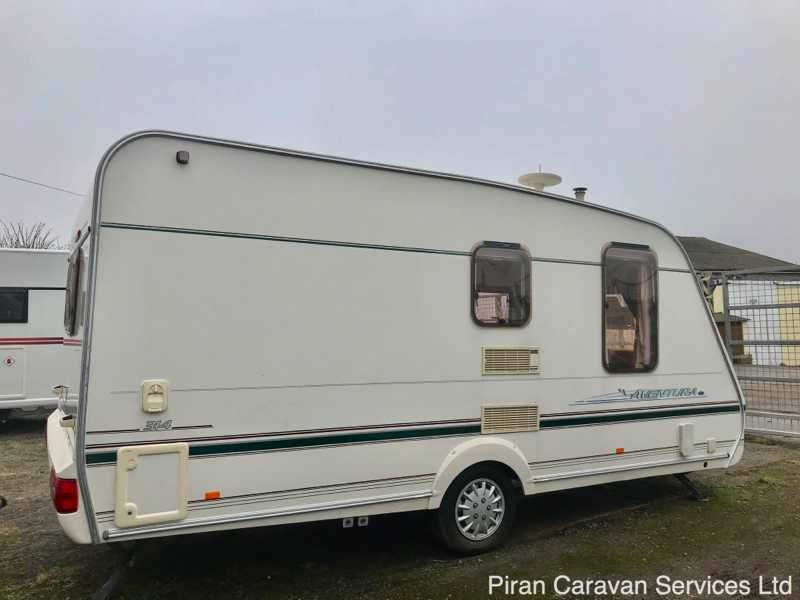 There is an efficient Truma Trumatic dual fuel heating system, full mains electric with 3 x 230v mains sockets, full 12v electrical system and a TV station with 230v/12v/aerial point. 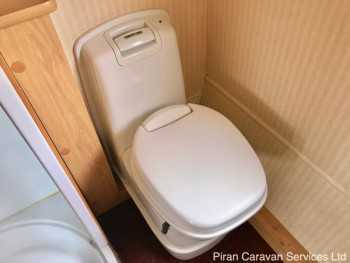 This caravan is being sold with an Aqua Roll and Wastemaster and caravan step. In summary, this is a great example of a high spec older caravan which has been extremely well looked after. 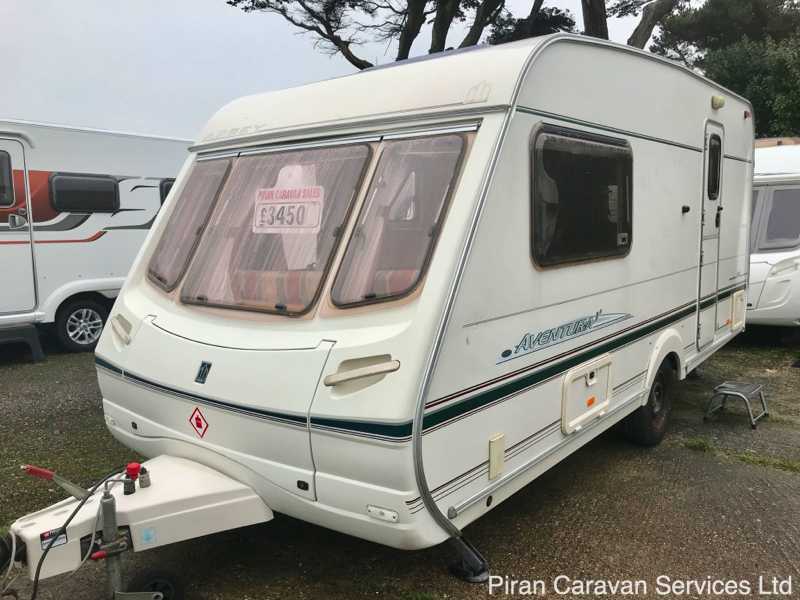 The Abbey Aventura 314 has been fully serviced and damp-checked prior to sale and represents excellent value for money, providing all the comforts required for a fun caravanning holiday for 2 people, at a fantastic price. 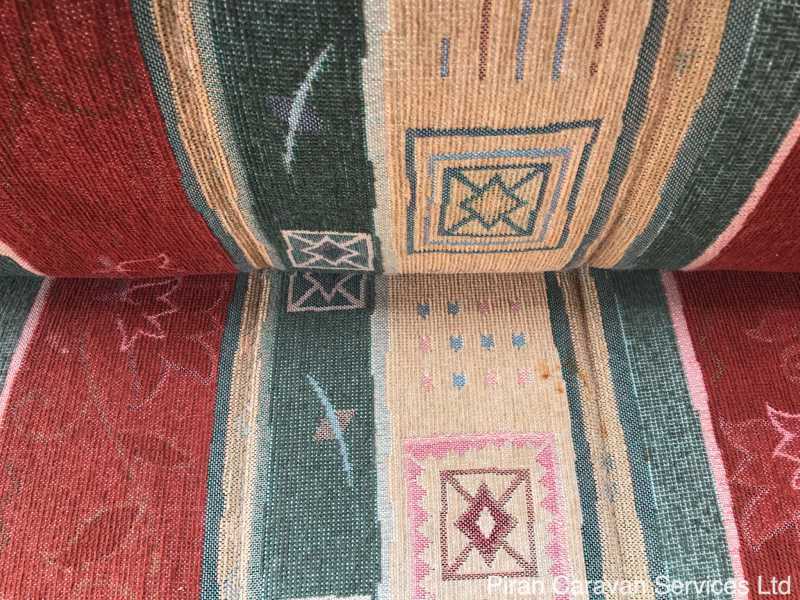 This one is ready to hitch up and go!